With Wimbledon in action until 15th July, the country is set to go into a tennis frenzy. From cries of ‘Love’ to bowls of strawberries, it’s one of the best anticipated and most prestigious events of the year. Follow this guide to attend Wimbledon in style. The Championships are held at The All England Lawn Tennis and Croquet Club in Wimbledon, London. Although it is possible to drive there yourself, parking in the local area is seriously limited – especially given how busy the event is. It is strongly advised to take public transport where possible, although this could take you much longer than you expect. Given that it is a special occasion to attend Wimbledon, you may wish to use a chauffeur service in London. Going to The Championships in a chauffeur driven car will save you at least an hour getting stuck on the public transport. Plus it means you can plan exactly when you need to leave your house, without needing to stress about parking or delays on the trains. 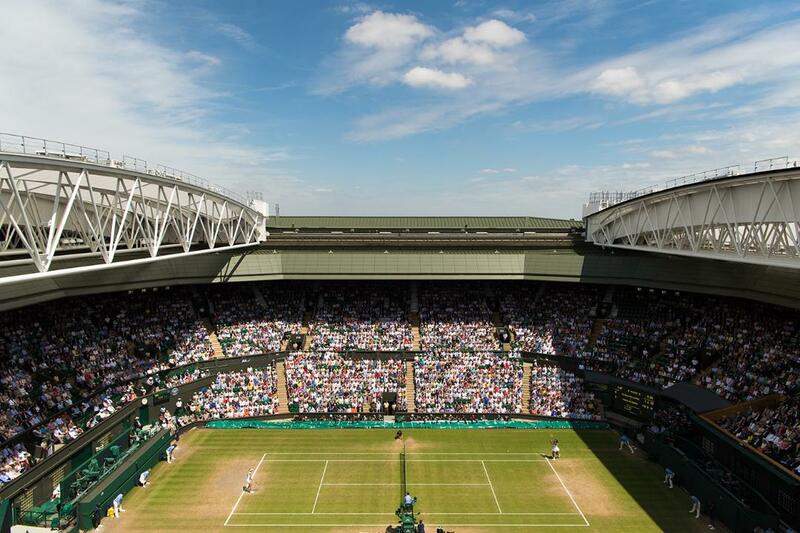 Tickets to Wimbledon sell out fast, so it’s important to get there fast if you want to buy one of the best seats. It’s a world-class sporting event that people around the world over look to attend. You can visit the official Wimbledon website to find out what the view is like in each of the seat positions. This will give you an idea of which seats are the best. Typically those closest to the court are most popular. There are 19 courts tucked together to purchase seats for, meaning plenty of opportunities. Unlike many other sporting events, Wimbledon is one of the few that allows you to turn up on the day and book a ticket to one of the matches. However, there are long queues for these – so be very prepared. Wimbledon is a truly unique experience in which you will get a sporting experience crossed with a refined garden party. When you attend Wimbledon, there are no specific rules you need to follow. However, it is always advisable to dress for all types of weather given how unpredictable the weather can be in England. You’ll need to prepare for rain and sunshine, plus appropriate footwear. Flip flops are not suitable. If you are attending certain hospitality areas of Wimbledon, you may be required to dress in a smarter outfit, although jackets and ties are not necessary for men. It’s important not to wear trainers or jeans. The Member’s Area does have a dress code. In here, men should wear a more formal outfit including shirt, tie, trousers, dress shoes and either a tailored jacket or lounge suit. Additionally, women are expected to wear a formal dress or suit outfit. It’s also worth noting, if you’re unfamiliar with the area, that Wimbledon is not particularly close to central London. This is why using a chauffeur service can help make your trip simpler and safer. There are two ways to book a Wimbledon chauffeur service. You can book over the phone at 02079319797 or book online. For a convenient and hassle-free journey to Wimbledon, book your chauffeur driven car today. It’ll give you more time to enjoy what really matters – watching tennis, beating the queues, and eating delicious strawberries.